A packed track list of their upcoming, highly successful and critically acclaimed reissue of the Let's Sing series. Players choose their favorite songs to become the superstars of their dreams. The song list includes a total of 35 tracks. 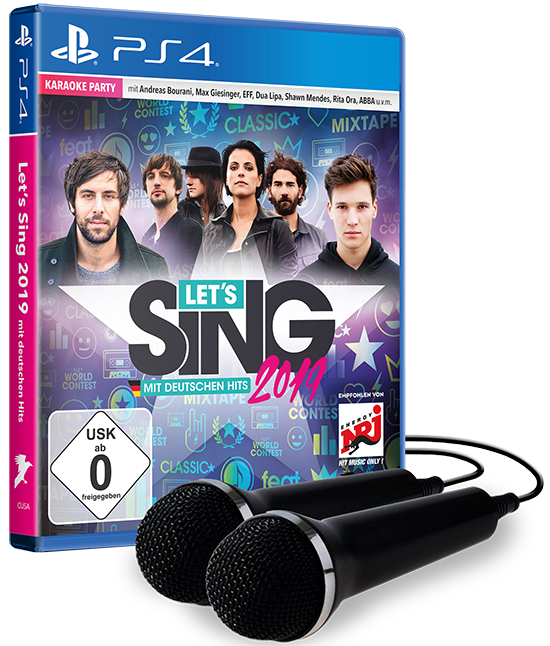 Among them are artists like Andreas Bourani with "on other ways", Wincent Weiss with "fireworks", Max Giesinger with "80 million" and Silbermond with "light luggage". With this variety, Let's Sing 2019 offers the right thing for every superstar. But that's not all: there are also real evergreens, classics and street tunes like ABBA with "Mamma Mia", Shawn Mendes with "There's Nothing Holdin 'Me Back", EFF with "Voice" and many more. 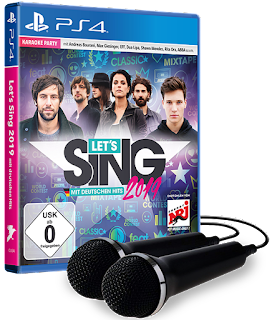 For the first time in Let's Sing history, a worldwide asynchronous Versus multiplayer mode is included. Players compete against each other all over the world to appear higher and higher on the leaderboard.